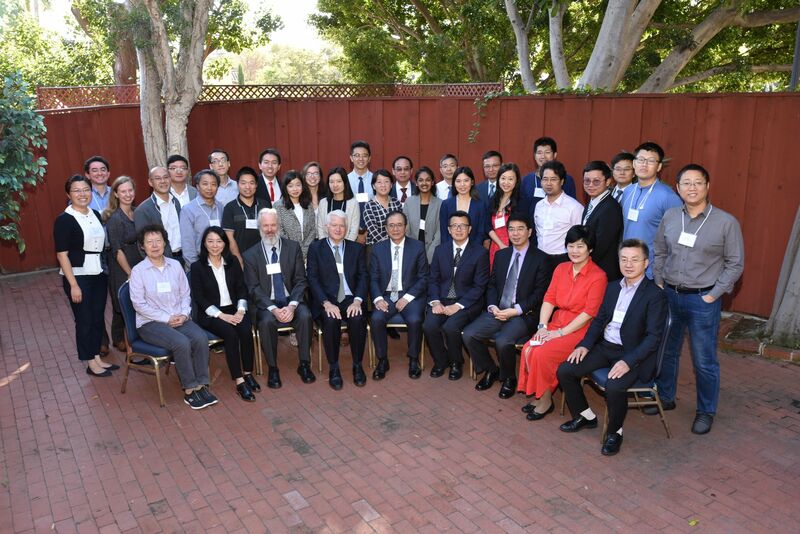 Peking University (PKU) President Jianhua Lin, 6 other high level PKU administrators and 8 faculty represented PKU during the Joint Research Institute in Science and Engineering (JRI) by PKU and the University of California, Los Angeles (UCLA). 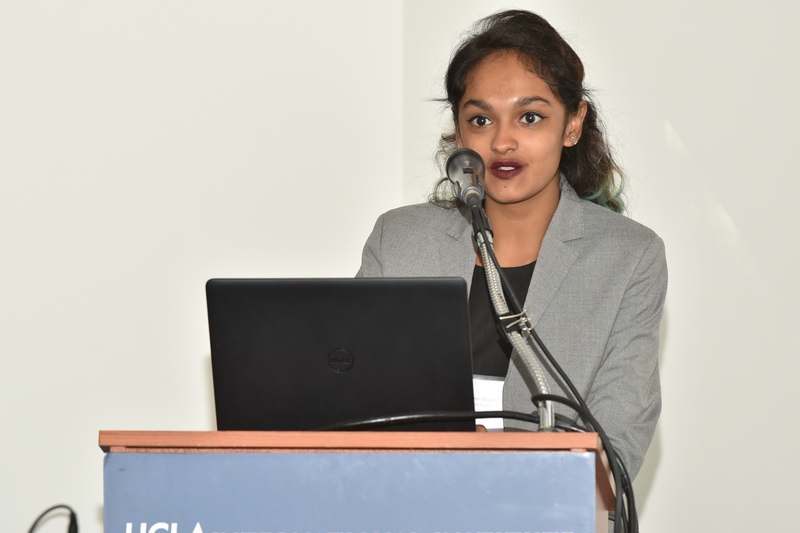 The Annual Symposium held on October 15, 2018 on the UCLA campus hosted 80 participants. This was the ninth annual symposium which alternates between PKU and UCLA campuses. 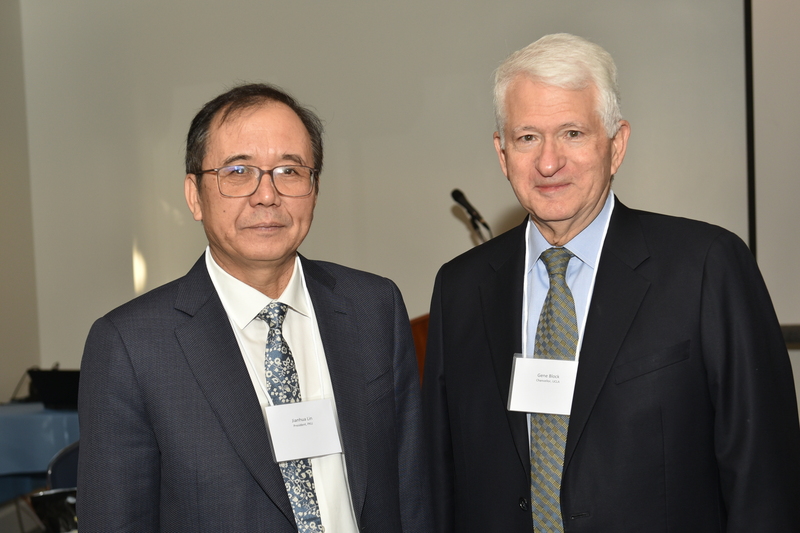 During the opening, UCLA Chancellor Gene Block welcomed the esteemed group to UCLA and emphasized the importance of the relationship between UCLA and PKU. President Lin then remarked that UCLA was its top research partner and encouraged more collaboration. 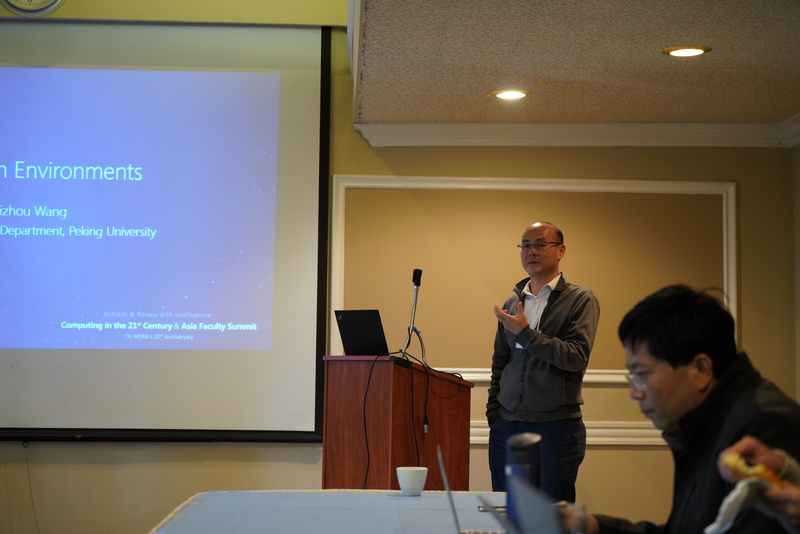 JRI Co-director and Professor Jason Cong reflected on nine years of partnership and included an update of JRI joint research, publications and student programs. 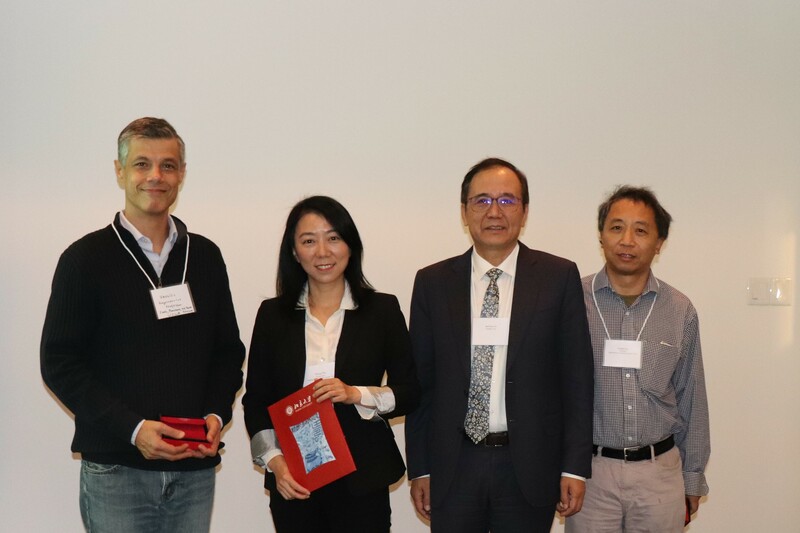 As JRI is going into its 10th year of partnership, President Lin took the opportunity to recognize top UCLA collaborators with PKU including, Fielding School of Public Health Professor Yifang Zhu with 9 joint publications; Department of Computer Science Professor Songwu Lu with 9 joint publications; Department of Earth, Planetary and Space Sciences Professor Vassilis Angelopoulos with 6 joint publications; and Department of Materials Science & Engineering Professor Yahong Xie with 6 joint publications. Three of this year's JRI Summer Research Program students had a chance to share their research and cultural experiences from their summer at Peking University including Hetvi Doshi, Angie Jierou Chen and Alexander Soohoo. 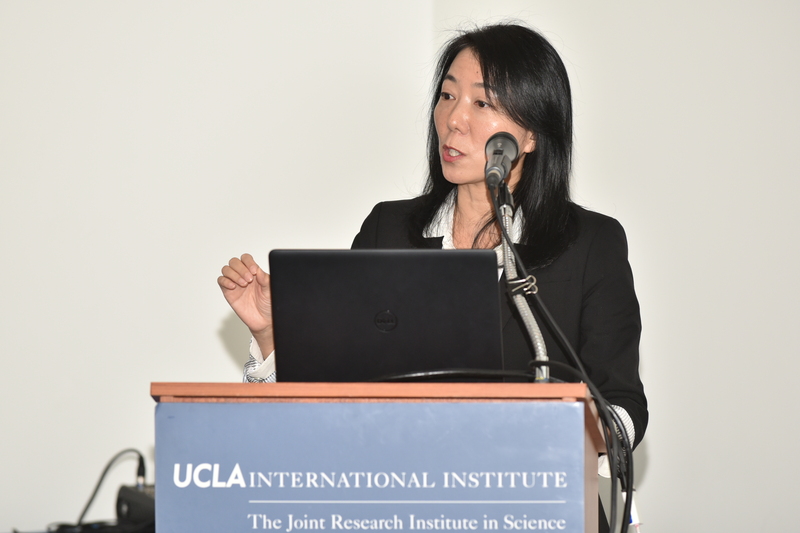 The audience was then engaged by keynote presentations from prominent faculty from both campuses: UCLA Acting Dean for the Fielding School of Public Health and Professor Yifang Zhu shared about her latest research on Beijing's air quality; PKU Professor Ming Zhang shared a talk titled "Learning the Joint Representation of Heterogeneous Temporal Events for Clinical Endpoint Prediction"; and UCLA Professor and Chair of the Department of Computer Science shared about the latest in Artificial Intelligence. The afternoon included three breakout sessions where faculty from both schools presented their latest research and engaged in discussions on ways to collaborate together to advance their research. Topics included Edge Computing, Artificial Intelligence and Technology and Medicine. 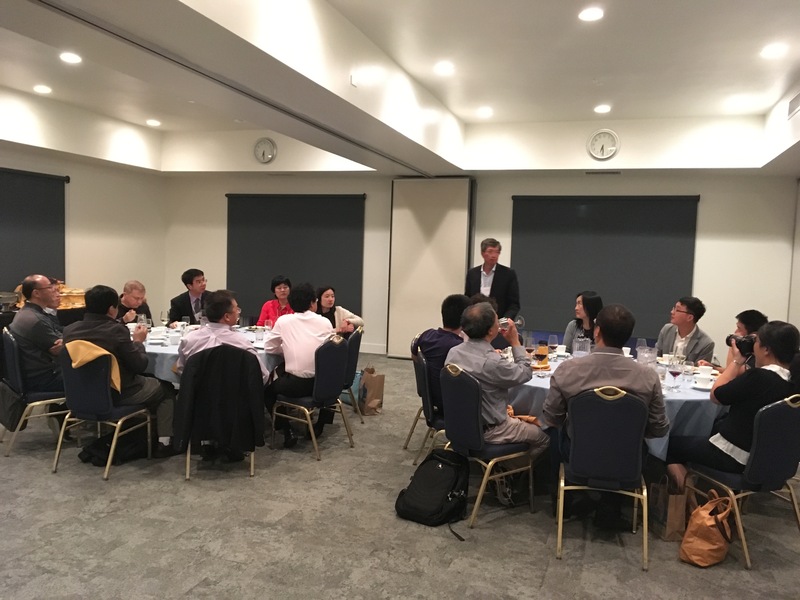 The day concluded with a dinner with PKU and UCLA faculty where they discussed ways to deepen their collaborations and the potential to apply for joint funding from the U.S. and Chinese governments. For the full program of the symposium, please visit http://pku-jri.ucla.edu/jri/events/13365. JRI was founded in 2009 with the intention of fostering new and existing collaborations between UCLA and Peking University. Under the co-direction of Xiaoming Li (PKU) and Jason Cong (UCLA), JRI trains future science and engineering leaders with a global perspective, secures joint funding, and facilitates technology transfer of research results. JRI aims to serve both institutions as they jointly confront global concerns in science and engineering.